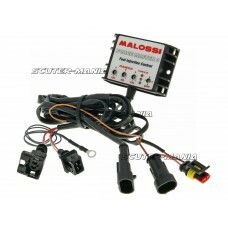 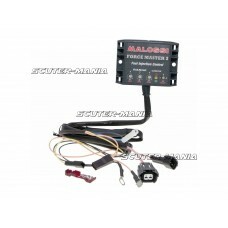 This cable set allows the use of the ECU Polini engine control unit (P.33230 / 171.0001) in Yamaha X..
Malossi Force Master 2 CDI injection module for Piaggio 250cc 4-stroke maxi scooters with fuel injec..
Malossi Force Master 2 CDI injection module for Piaggio 300cc 4-stroke maxi scooters with fuel injec..
Malossi CDI injection module Force Master 2 for Honda SH I 125ie 4-stroke LC Maxi-scooters. 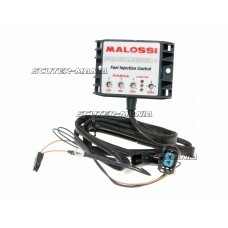 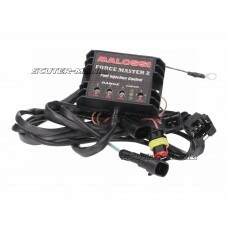 This inj..
Malossi CDI injection module Force Master 2 for Honda SH I Scoopy 300 ie 4-stroke LC Maxi-scooters. 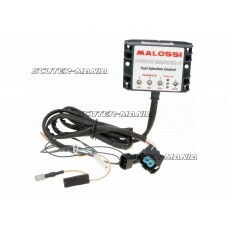 ..
Malossi Force Master 2 CDI fuel injection module for Piaggio Beverly 350cc and X 10 Maxi scooters wi..
Malossi CDI fuel injection module force master 2 for Yamaha MT 125ie (E3J4E) and YZF-R 125ie 4t LC E..
Malossi CDI fuel injection module force master 2 for Yamaha WR RX (E3D9E) and YZF-R 125ccm 4T LC Eur.. 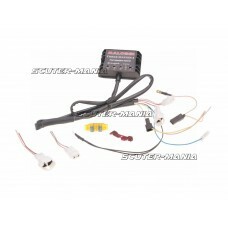 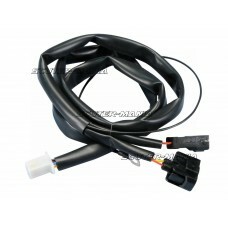 This cable allows the use of the Polini ECU P.33230 / 171.0001 to 125, 150 and 300 and 350cc Piaggio..
ECU unit for converting injected scooters to a carb. 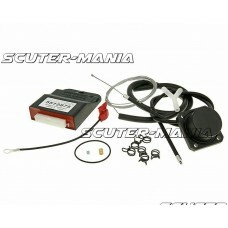 Allows for unlimited tuning right through to ra..
OEM fuel pump for Aprilia, Piaggio Di-Tech (with injection) Pure Jet & Peugeot TSDI scooters.Piaggio.. 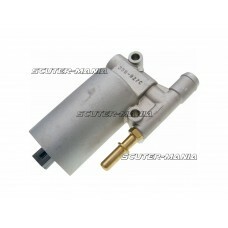 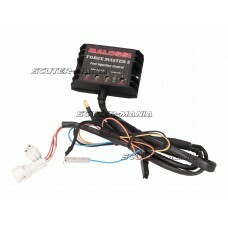 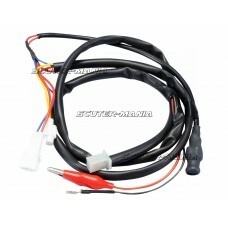 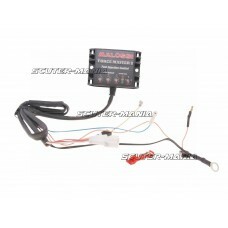 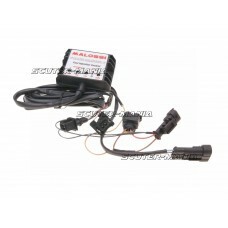 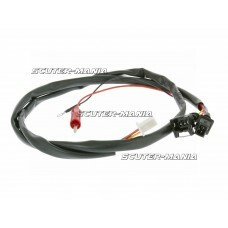 This cable set allows the use of the ECU Polini engine control unit (P.33230 / 171.0001) in Honda SH..